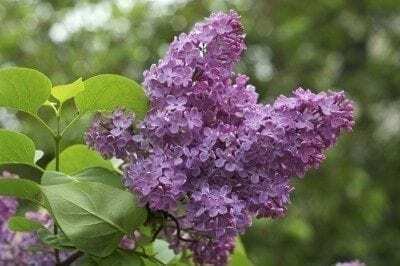 A longtime favorite, the lilac bush (Syringa vulgaris) is typically grown for its intense fragrance and beautiful blooms. Flowers can range in color from pink to purple; however, white and yellow varieties are also available. They can add a good source of shade or privacy when planted as a hedgerow. Lilacs range from dwarf varieties up to 8 feet tall or larger growing ones that can reach heights up to 30 feet. 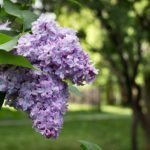 With proper lilac tree care, these lovely plants can last decades in your garden. Spring or fall is the best time for planting lilac bushes. Situate the lilac with its roots spread vertically in the ground and make the hole both deep and wide enough to accommodate them. If planting more than one lilac bush, space them at least 5 feet apart to prevent overcrowding, even if you plan to use them as hedges for privacy. Choose an area with plenty of afternoon sun and well-drained soil. Since lilacs prefer good drainage, planting lilac bushes in slightly elevated areas is recommended whenever possible. Following planting lilac bushes, water them thoroughly and add a layer of loose mulch. Keep the mulch thick enough to keep out weeds and retain some moisture but light enough not to hold too much. Since lilacs are considered low-maintenance shrubs, the general care of lilac bushes is minimal, with exception to regular pruning. Although lilacs tolerate a range of soil types, they prefer well-drained, humus-rich soil. Therefore, working compost in with the soil will help create a suitable planting soil for them. They should be watered thoroughly but not too often, as lilacs do not like their roots to become saturated. Frequent use of fertilizer is not necessary for lilac tree care. However, fertilizing in early spring may help give blooms a boost, provided there is not too much nitrogen, which will result in insufficient flowering. Although usually hardy, lilac bushes are occasionally bothered by insect pests, such as borers. Keep an eye out for any signs of pest problems and treat immediately. In some cases, spraying with soapy water will be sufficient enough to care of insects. However, if heavy infestations occur, pruning the entire plant may be necessary for lilac tree care and health. Pruning is important for lilac care. Keeping lilac bushes well pruned will also prevent the chance of disease, such as powdery mildew. Lilacs are typically clump forming, producing new shoots from the base of the trunk. 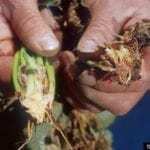 These shoots can be used for propagating lilac bushes. Dig down from the main clump, exposing the roots and cut the shoot away from the mother plant. Make sure you include roots. Then simply plant the shoot in a suitable location, watering regularly until it takes hold. With proper planting and care of lilac bushes, anyone can enjoy the beauty of these low-maintenance shrubs.